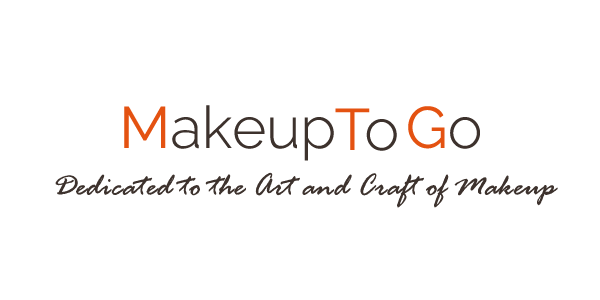 #BizTalk – Sick and the Freelance Makeup Artist | Makeup to Go! – I was for real sick. I had no idea how sick I really was. This was no simple strained ligament situation. In addition to the time spent in the hospital, I had a 6-week at home course of treatment I had to complete during which I was not medically allowed to work. – I could not have worked if I wanted to. Once I was discharged from the hospital and sent home I could not get out of bed for more than a few minutes at a time. The only way I could amble around was with a walker. I needed help getting into bed, getting food, taking my medicine, pretty much everything (except going to the restroom, thank G-d). – I was discharged from the hospital on 4/28. It wasn’t until mid-June that I was beginning to walk with a cane. About a week later I could walk up and down limited stairs again. A week after that I could drive my stick shift car again. – The illness aspect is completely gone and has been for a while Thank Heavens. I’m in physical therapy now and I am doing well, but still nowhere near where I was before I got sick in terms of walking, endurance and mobility. So if surgery was at the end of April, and I couldn’t walk or drive really until the end of June, that sounds like that was over 8 weeks, doesn’t it? Why yes. Yes it was. And my work still isn’t done yet. I am still – as of 7/16/15 when I’m putting the final touches on this article so it can go up live tomorrow – walking on a cane and having weekly physical therapy. And I’m BEYOND GRATEFUL that my health is where it is now. So what do you do when you get a complete smackdown that is out of your control? Needless to say, the more planning you can do before you GET sick, the better off you will be. New & “teenage” artists tend not plan for any type of contingency and just do not give themselves enough of a margin of error. (By “teenage artist” I mean length of time in the makeup profession, not the artists actual age. See this article for an explanation). Anything can potentially happen at any time. You need to have savings. This is why you cannot work for $50 a face, this is why you cannot work for “exposure”, etc. etc. Obviously different people have different financial situations but even if you are in a two income situation, losing one of those incomes can really hurt. And then of course if you are the sole breadwinner responsible for your financial well being, losing income can really really hurt. In either case you do not want to leave life to chance. In my case not only did I lose income during this period, but I had additional medical expenses (mostly hella co-pay fees) in addition to my regular living expenses. Not fun. In addition to a financial contingency plan, you need to have a contingency plan for your clients. African-American Anthropologist and novelist Zora Neale Hurston once famously wrote “…all my skin folk ain’t my kinfolk.”, meaning just because someone looks like you it does not mean they are down for you. You cannot trust all makeup artists, not matter how nice they may seem online. People calling themselves makeup artists undercut, steal clients, and engage in all manner of unprofessional behavior all the time. Unfortunately for me, I had to refer several jobs to other artists as I clearly could not work myself. Fortunately, I have cultivated a solid makeup family where I do not have to worry about my generosity making me a patsy. Also, I do not want to refer a wack artist – skills wise or professionalism wise – to my clients. That makes ME look bad. It is nice to know that I can refer jobs without all level of mayhem breaking out. No matter what type of job you are talking about, it is vitally important to the reputation of your business to *never* leave a client hanging. If you were to get sick at a time when you have a 15 person bridal party booked, deposit already paid, etc., would you have a backup plan in place in order to serve your client? No? Time to get on that. Most freelancers I know in the photographic/production industries have some of the WORST habits when it comes to self-care. Not just makeup artists, most everyone on that set. From skipping meals and late night eating (and drinking and all whatever else), to working nonstop without rest, etc. We are rewarded for our “grind”, but the only people we’re hurting is ourselves. 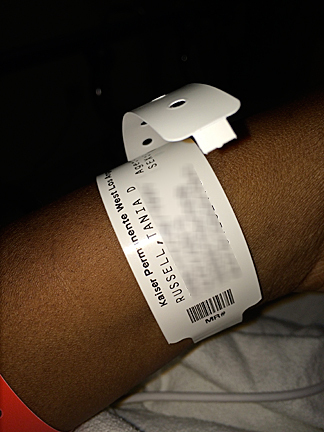 I know of much worse health crises that have hit artists younger than myself (cancer, strokes, you name it). I am not the first Blog to bring up this very real problem within our Industry. What happened to me was acute, and a bit of a fluke. I was healthy and pain-free before this episode occurred, and I am once again healthy and largely pain-free after receiving excellent medical care. But a lot of freelancers are wearing themselves down with harsh work-related lifestyle choices that will catch up one day. Get in a habit of self-care now. OH and for heavens sake GET MEDICAL INSURANCE. I’d surely be permanently disabled or DEAD (literally) if I didn’t have it. You’ll heal up faster. As I said, when I first went down I had all these illusions of doing this that and the third. Once I realized this was all based on fantasy, I stopped trying to push through the illness and let it just run its course. My reality was – and to an extent still is – my energy level was diminished, I needed a LOT more rest, I could not physically do what I used to do and my thoughts were scrambled (thankfully, that last issue is no longer the case). There was absolutely no way I could do the things I was doing before my illness, no matter how badly I may have wanted to. This is extremely difficult for a freelancer because it is nearly impossible to disengage from your business without worrying about what is going to happen to your business. And that’s real, I had to turn down a lot of work over the weeks I was down. But it’s not like I could do anything about it, and worrying adds stress which delays healing. I did not know this existed until one of my doctors brought it up while I was still in the hospital. If you go on permanent disability, you cannot work again or you lose your disability benefits. Temporary benefits are just that: Temporary. Temporary Disability is designed to assist in short-term times of need. In addition to money, you may be able to get some of the other needed services such as temporary disabled parking permits, etc. NOW – I didn’t end up utilizing this. I am not sure what happened to my application, actually, but if you’ve ever been on Unemployment – particularly in California where I am – you know that they can have issues with Freelance workers. However if your state has a Temporary Disability program, it is worth looking into. Goodness knows I wish I had that temporary disabled parking placard! Stay as active as you can on social media. To be clear, I’m not talking about playing Candy Crush and talking about nothing in makeup groups (OK I do still play Candy Crush). I am talking about taking advantage of a productive activity that you can do even when you are still bed-bound. If you follow me on Instagram (@tdrussellmua), you may have noticed that I posted #ThrowbackThursday and #FlashbackFriday images with a hashtag counting down how soon it would be until I returned (#BackInFourWeeks, #BackInTwoWeeks, etc.). 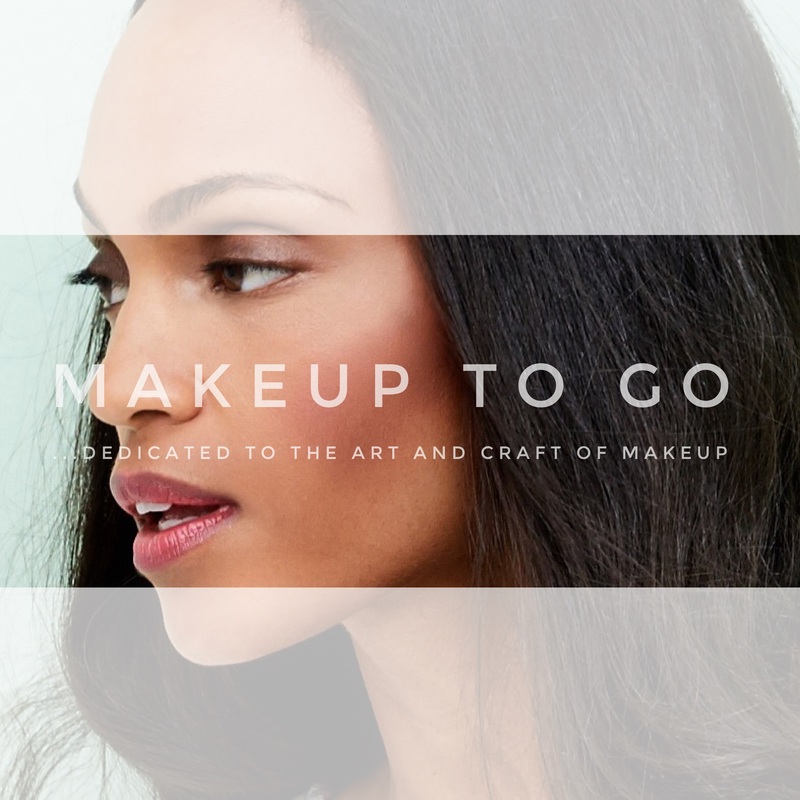 I kept my Facebook page going and relevant, in the Facebook makeup groups I belong to I offered useful advice which often allowed me to unobtrusively mention my blog, on Twitter I tweeted other people’s content along with my own personal updates, etc. The types of jobs I do are not the kinds of jobs that hire artists directly off of a given social media platform (sometimes, but not often) but my social media strategy worked in the sense of keeping my name and work in circulation until I was ready to make my actual comeback. and so on. Again, if you are ready, you do not have to get ready. Therefore I didn’t want to wait until I was physically ready to be working again to do all the prep work. I did not want to wait until the day before I planned to relaunch the Blog to start writing content. I did all that prep work in advance so that I could get work rolling back in once I was physically capable. Probably the most important item on that list was contacting my EXISTING clients. As I have said before, people who already know and like you are more likely to give you a call than a new client that needs time to cultivate. They are also more likely to make some concessions for you. On my first shoot back I needed to sit frequently. Whereas a new client who has not worked with me before might have been turned off by that request, this long time existing client knows me and my work and that I do very much pay attention on set. They kept a chair on set for me and it was all good. …but I am officially back at work now. I can get all schmaltzy and philosophical here and maybe I will in a future post because this experience has definitely changed me as a person, which will of course ultimately affect me as an artist in ways that are likely yet to be seen. But this is #BizTalk so, for now, I’ll keep it strictly biz. How am I now? I’m great! I’m a bit slower work-wise than I probably would be had I not had to take time off, but because of Proper Prior Planning I am not in a desperate situation at all. I got to take all of the time off that I needed, and ease my way back into working at a pace that’s been comfortable for me. I have great upcoming personal projects and jobs and I cannot wait to share the fabulosity as it happens. The worst is now truly behind me, and I can resume planning and working towards my future. And I could not be more grateful for that. © 2015, Tania. All rights reserved. Thank you so much for this post, Ms. Tania! It’s so good to see the “real” side of freelancing. I know as freelancers we can get so used to the hustle of being “on” all the time, but we really do need to face reality and understand that in order to continually meet client needs, we have to take care of ourselves! It’s okay to recharge. Personally, I know that when I get sick with the common cold, my cold lasts anywhere from 2-4 weeks. It’s been that way since childhood thanks to my sucky immune system [/sarcasm], but I’ve since figured out ways to decrease the longevity of my cold. I try my best to stay on top of my vitamin regimen, etc because if I can help it, I don’t want to go down for that long. I also agree with you 100% on cultivating your makeup family relationships. I’m grateful that I have artists that I can call on if need be, and I’m always interested in cultivating more relationships with other artists. It never hurts to have a pool of trusted colleagues to pull from especially if an emergency becomes last minute. Which also leads me to understanding why it’s also always important to be on top of your professionalism when working with clients, especially regular clients. That way if an emergency happens (such as a death in the family a days before the gig) and you have to back out immediately and replace yourself, they have a higher likely hood of understanding because they KNOW you. They KNOW your work. They KNOW that you wouldn’t just bail without at least trying to find a replacement. It’s so important to be on it because you don’t want anyone questioning your professionalism; thus questioning the validity of your “emergency” claim. You want to build trust, and that is so important in this industry! Anyhoo, I don’t want to keep rambling, but thanks again for this post!!!!! Yep. Everything you said is 100% true.